Skin is one of the most tender and important parts of our beauty that is why even an inch of any skin related problem is observed we get restless and starts finding its solution to get rid of. Let me inform you frankly that most of skin care myths you heard about are hardly hundred percent true. In today’s fast-paced world Google is the biggest source of information for every section of people. So most of us reach to Google to find out solutions to our problem. When you search for any skin care issue you get hundreds of solutions to it. Some of them are true whereas some are myths. This can throw you in big trouble if you blindly follow them. So it’s better to make yourself aware of real skin care myths. Instead of depending on Google especially when it is concerned with your skin, you should listen to the experts’ advice like the dermatologist, renowned beauticians etc. It’s not that whatever you listen about skin care are totally false but yes in most cases these are a half-truth. 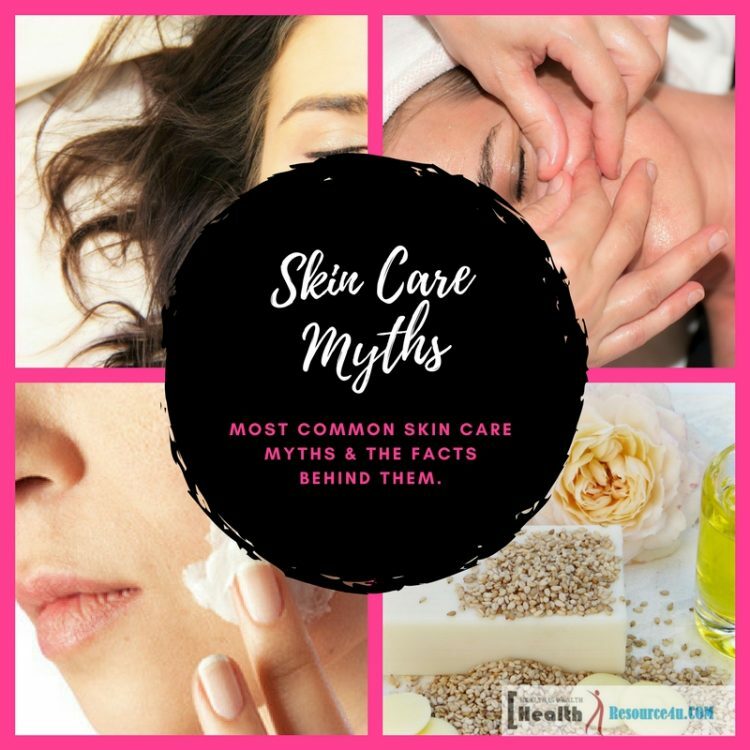 So read this article till the end to know about skin care myths in order to protect you from unnecessary skin issues. Fact: It is said that people with oily skin observe very less amount of wrinkles on their face with a comparison to dry skin people. The fact is that as the oily skins are thicker than the dry so it can guard itself against breakout more than a dryer skin surface but it doesn’t mean that it will not get affected from aging effects. Because of natural oiliness and thickness, it naturally gets less tanned under the sun’s UV rays whereas dryer skin due to lack of natural oil damage faster under the sun heat. Oily skin generates natural collagen which fights against the aging effect but we cannot say that an oily skin person will never look old. 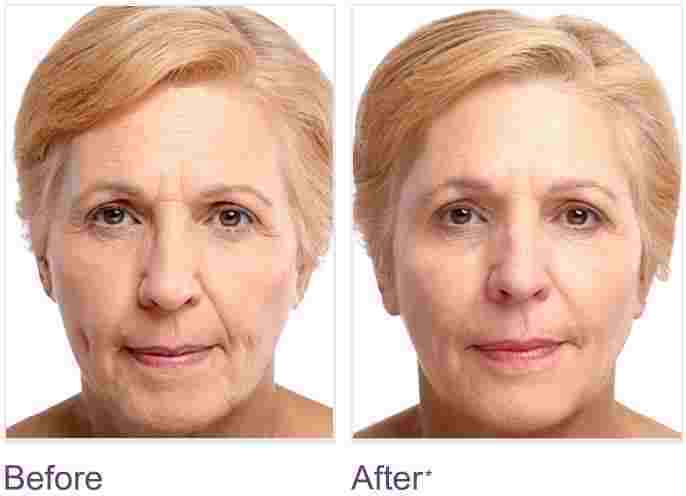 No one can get rid of completely from aging effects and even oily skin people observe wrinkles as they ages or due to over smoking and direct sun exposure. Myth: Sunscreen is required only in summer time or when you come under the sun’s exposure. Fact: It is a myth among many people that the sunscreen is not necessary when you are sitting in a shady area or when the weather is cloudy. The fact is that your skin is still exposed to the sun even the weather is cloudy or you are under the roof as because sun’s UV rays come to earth by the moment sun rises, yes in the shade it comes in less quantity than an open area. It’s better that you always apply a sunscreen with broad-spectrum as it will guard your skin against the harsh rays of sun irrespective of weathers. The UV rays are the biggest cause of premature aging or other skin related diseases like skin cancer. It burns your skin DNA even you are in the shed. So never take any risk when it is concerned with your skin. Always use a good quality of sunscreen cream. Myth: Drinking plenty amount of water can hydrate your skin. Fact: It is a myth that drinking plenty amount of water can keep your skin hydrated throughout the day whereas the fact is that water intake is not directly affecting your skin health. Water is good for our overall health condition. That is why even for chronic health related problems it is advised by doctors to drink plenty amount of water (8 glasses at least) in a day. 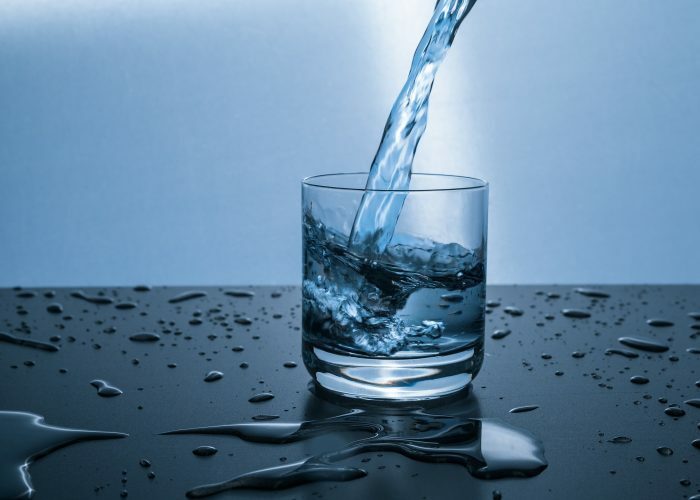 Under the condition your skin is badly dehydrated, it is advised by dermatologists to drink extra water but in this context, you should stay aware of that your skin is not dehydrated due to lack of water. There are many reasons like usage of some cream, sun exposure etc. cause it to be dehydrated. You can hydrate your skin by applying a good moisturizer, skin oil and lotion. Myth: Higher the price better the product will be. Fact: It is a myth that the skin care products with high price are of good quality and best for the skin. Where as the reality is the price of any product depends on many factors like its production cost, advertising, and branding. It is not essential that only a high price tag product is good for you. There are many natural ingredients made skin care product in the market, which costs is less than other similar product of other brand but this doesn’t compromise with their essential quality for the skin. So never purchase any skin care product blindly by checking its cost. What you are supposed to do is check its ingredients and if it is suitable for your skin type then only buy it. Myth: It is a myth that after wash your skin gets tighten. Fact: It is a myth that your skin should always feel tighten after wash whereas the fact is that your skin remains lose for any reason even after a wash. 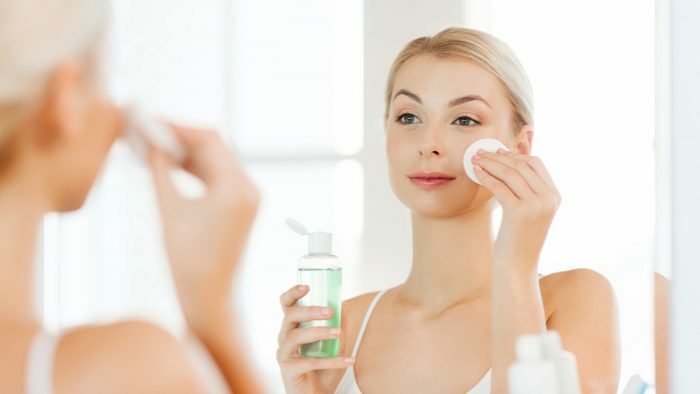 If you are using a cleanser or face wash which is too harsh for your skin type then it will wash away your skin’s natural oil and make it look dry. Because of such type of skin unfriendly detergent cleanser, your fine lines start getting appear and it causes break out also. For protecting your skin with all these troubles you should use a face wash and cleanser which includes glycerin and creamy ingredient which will not let your face dry even after a thorough wash. Always check the ingredient of your cleanser before purchasing it. If it is suitable for your skin in that condition only select it for you. Myth: Pimple will heal faster if it is popping in. Fact: It is a myth among many people that popping a pimple on the face will help in healing it faster but the reality is something different. Popping out a pimple will contaminate infection to the surrounding skin hence it more spreads. Apart from that, it will leave scars on your face which really becomes difficult to get removed permanently. What you should do to avoid such problems keep your nails any sharp element away from your face so that even by mistake the pimple doesn’t get bursts. If the condition is severed and painful then you need an immediate consultation with a dermatologist. Myth: Higher the SPF rate of a sunscreen, higher protection for the skin. Fact: It is a myth that your sunscreen can give you more protection from sun’s Ultraviolet Rays if its SPF rate mentioned on its packaging is higher but this is not a reality. The fact is that there is nothing to do with the higher rate of SPF regardless of higher protection to your skin. SPF denotes the percentage it can guard against the sun’s UVB radiation which can cause skin cancer and other problems with the skin like wrinkling etc. The SPF rate 30 guards 97 percent of UVB radiation whereas SPF 15 guards your skin against 93 percent of UVB radiation. So it can be said there is no big difference irrespective of higher SPF rate. The total skin protection level depends upon the way you are applying the sunscreen. For better protection, you should apply it very often and in thicker quantity. Myth: Richer the eye cream, more protection against under eye wrinkles. Fact: It is a myth that an under eye cream which is very rich is best for preventing under eye wrinkles. The reality is that most of the rich eye cream contains thick oils like petroleum or mineral oil. Because of heaviness these elements stuck to your eye and take very long time to get absorbed fully and sometimes over the night it enters to your eyes causing puffiness in the next morning. Apart from this the thicker ingredients of under eye cream damages your skin tissues over the time and even it can hamper its elasticity by making it weaker. So don’t buy blindly looking its richness instead look for the under eye cream which can absorb fast and keep yours under eye skin soft and moist. Myth: Applying a toner to the skin is not necessary. Fact: Most of the people think that usage of toner is not very necessary especially because it makes their skin dry. This particularly happens when you apply a toner which carries alcoholic ingredient such as SD alcohol 40. This alcoholic element of your toner makes your skin completely dry and also causes to build dry skin cells. So for the betterment of your skin, you should always apply a toner which is alcohol-free as it will keep your skin nourishment intact and will not let it be dry. Apart from that it also helps in removing the chlorine that your skin absorbs from tap water, the residue left by cleanser, and also improves the functionality of the moisturizer that you have applied. So don’t think that usage of toners is unnecessary for your skin. It helps to improve your skin quality by making it more hydrated and healthier. Myth: For sensitive types of skin natural products are better. Fact: Most of us think that natural products available in the market are good for skin especially for sensitive skin type but the fact is that it is not true every time. We think that the natural products are always gentle, and never be harsh which is not true. The concept of “natural” is vary for different cosmetic product manufacturing companies. So there is no fixed description of it. So instead of looking for a natural product for your sensitive skin check its ingredients. 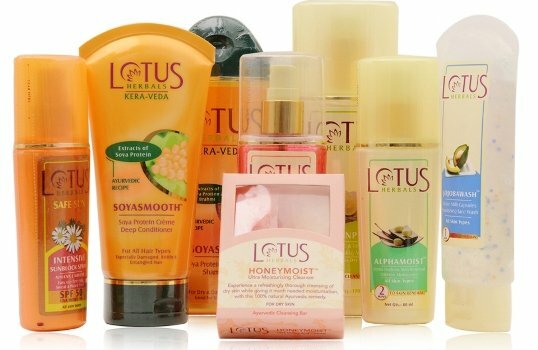 If some special points are mentioned over there then it is good for you such as – good for sensitive skin types, gentle, hypoallergenic (means regular sensitizer is not used), dye free (means synthetic dyes are not applied), fragrance free (artificial or synthetic perfume free) and sulfate free (harsh or irritating detergents are not used in formulation). Buy the product if all these descriptions are mentioned in it as this can make your skin healthy and glowing. Don’t look now onwards blindly for a natural product as you are aware now that what is actually good for your sensitive skin. Myth: Many people think that washing face in the morning is not necessary if there is no makeup on their face. Fact: People who generally don’t apply makeup think that there is no use of washing their face in the morning as it is already cleaned. But the fact is that it’s not only about your face makeup. Your face really needs to be washed in the morning as because your skin leaves some toxins and sebum during the night time as it is in repairing mode. These excreted elements in the skin at night time may prevent your skin to absorb any skin product in the daytime which is not at all good for your skin health. When you wash your face properly in the morning it becomes clear and open to absorb any moisturizer lotion or SPF cream. Another fact is that if we use any night product on our skin then we should know that it is meant to be for night time application only and also it can harm our skin in the daytime under the condition it is not washed in morning. In many cases, it causes unnecessary irritation or skin reactions is observed. So for keeping your skin healthy and glowing always wash your face in morning. Myth: Stretch marks can be completely removed by applying some products. Fact: This is a myth among many people that stretch marks can be completely removed from our skin but this is not a fact. We develop stretch marks on our thighs, breasts, and stomach because of weight gain or especially at the time of pregnancy. These marks really look dull so we make lots of tricks and treatment for removing them. 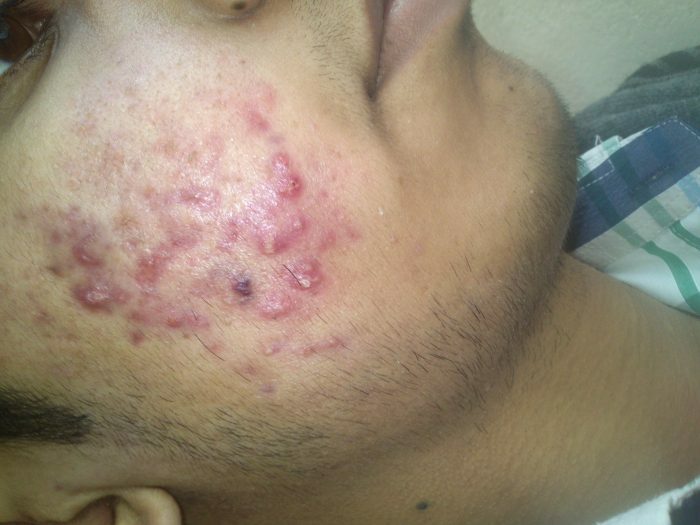 But the reality is that we cannot get rid of it fully irrespective of any costly cream or oil usage or even by applying any treatment for removing it. Yes, its appearance may get fed over the time but it will not vanish completely. So don’t apply any product with the faith that you can remove your stretch marks completely. Myth: My skin will remain of the same type throughout the life. Fact: Many people think that their skin type will remain of the same type in the whole life but it is not true. Whatever your skin type you are born with, in your initial stage (oily/dry/normal) it will not last forever. As we ages our skin type starts changing because of changes in hormones, skin type also change because of weather or climate you are residing currently. So don’t be relaxed that your skin will remain same forever. For keeping it lifelong healthy and attractive you need to provide your skin proper care especially at the age of 30 when you have to counteract the aging effects. This is a vital time when your skin type is most likely to observe changes. We have mentioned here some common skin care myths that many of us believe in blindly without getting inside its depth. 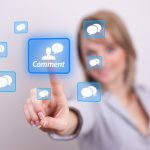 We hope this article will be helpful for our readers as they must be aware now about the real facts behind these common myths. Interesting article, just like to know how to get the pimples to pop in.